eCRM 360 is a completely automated electronic-mail Customer Retention Marketing service that grows your automotive maintenance business with up to 11 ultra-accurate �touches� that will exceed your customers� expectations. Our Flat-Rate unlimited-use pricing make it easy and affordable for you to compete with the very best. No e-mails, no problem. 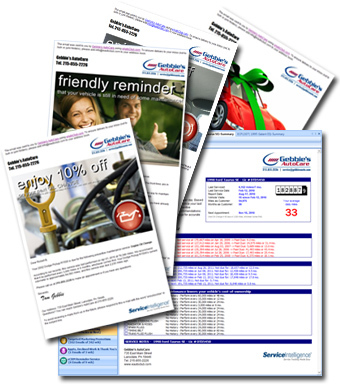 We can find your customers� emails for you. Postcards are available at extra charge.